The name Biltong actually comes from a Dutch word, this is one of the tastiest snack items ever prepared. Meats are dried properly and are cut into strips of 1 cm thick in average. These strips are then placed in kitchen salt for around ten minutes and then dipped into the mixture of Worcestershire sauce and apple vinegar. This is the general process of biltong preparation although each and every step is very delicate. Particularly the drying process is the most important, else the taste of biltong will be completely different. The meat is hanged in a hot air oven to speed up the drying process. One has to make sure that the temperature should be within 50 to 60 degrees else too high temperature will spoil the show. It takes around 5 hours to complete a biltong. There are other ways also to dry the meat, especially by using the drying cabinet if the outside weather is not conducive for drying. Biltong is popular in various states, majorly in South Africa, the United Kingdom and the Netherlands as people from these countries do prepare biltong for eating. It can be stored for several months and the meat quality remains the same throughout those months. Biltong is an old item which is accepted by all section of people for decades. Due to its popularity, it is processed with utmost care and meat is also chosen very selectively. 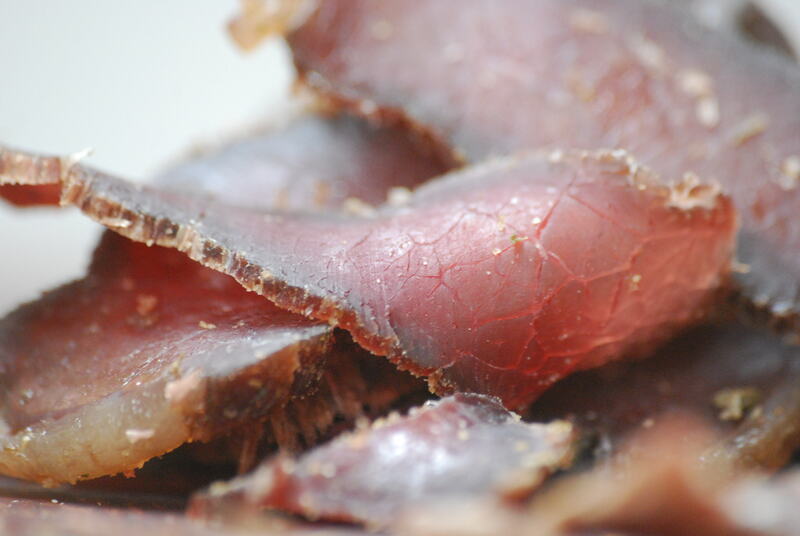 It’s all about the dried meat which is made to have a great snack item to eat.